Continuing Professional Teacher Development (commonly known as CPTD) is the system that helps teachers grow professionally. The South African Council for Educators (SACE) created the CPTD system for all South African teachers. For Principals and Vice Principals: The 3 year cycle runs from 2014-2016. This period has now been extended to the 30th of June 2017. This means all 150 points must be completed by the end of June by Principals and Vice Principals. For teachers, the cycle started in 2016 and the cycle ends at the end of 2018. Be sure to get your points before then! If you get 50 points a year, you will be sorted by the end of 2018! Teachers must achieve at least 150 points every 3 years by participating in various activities, such as doing short courses (online), reading or writing education articles, attending seminars, or mentoring other teachers. These activities can be initiated by the teacher, the school, or externally. The South African Council for Educators was established to uphold the education profession. SACE registers all qualified South African teachers (which means you need a SACE registration number before you can teach). SACE also manages the CPTD system and encourages the development of teachers through the system. Each teacher will have a Professional Development Portfolio (PDP) developed according to SACE guidelines, which will act as a record of your development journey. A CPTD course can never replace the need for a formal qualification. In other words, a CPTD course does not provide you with a Certificate with which you can look for formal employment. How do the CPTD cycles work? For Principals and Vice Principals: The 3 year cycle runs from 2014-2016. This period has now been extended to the 30th of June 2017. This means all 150 points must be completed by the end of June by Principals and Vice Principals. How do I sign-up for the online SACE portal? Is participation in professional development/ CPTD compulsory? SACE expects and encourages all teachers to sign up for the CPTD Management System as it rolls out so that they keep up to date and on their toes professionally! What happens if teachers don’t reach the 150 points target ? Educators who refuse to participate in the CPTD Management System OR defy it will be contravening Section 7 of the SACE Code of Professional Ethics. This means Educators could their SACE registration and ultimately be unable to teach. What do you need to do after CPTD orientation and sign-up? Start developing your PDP in terms of Planning, Recording Evidence of Participation in three types of PD Activities and REPORTING Your Participation and PD Points to SACE by May/June and October November. Start discussions in your phase/ department/site / Forums / cluster meetings / staff rooms / staff meetings / union gathers / professional association meetings about the CPTD MS.
What happens if I am promoted in 2017? What does earning 150 CPD points over a three year period actually entail? According to SACE, if teachers plan their participation in the three types of professional development activities carefully and wisely. Type 1 and 2 Activities are not submitted to SACE for endorsement. Teachers are responsible to participate in them and report on them in their Professional Development Portfolios. Type 3 Activities, on the other hand, go through a quality assurance process with SACE in order to protect teaches against dishonest service providers and poor quality activities. Teachers are urged to try to strike a balance by earning points from all three types of PD activities over the three year cycle. Points earned are recorded on-line via the Points Schedule / Tables provided by SACE. A wide range of options are available in all three categories. Researching and developing articles for journals magazines or periodicals. Participating in school projects such as community outreach projects or establishing food gardens. Activities/ courses included in the SACE database/ catalogue of endorsed PD activities. This is where Eduvation can help. Teachers are expected to complete SACE endorsed courses. 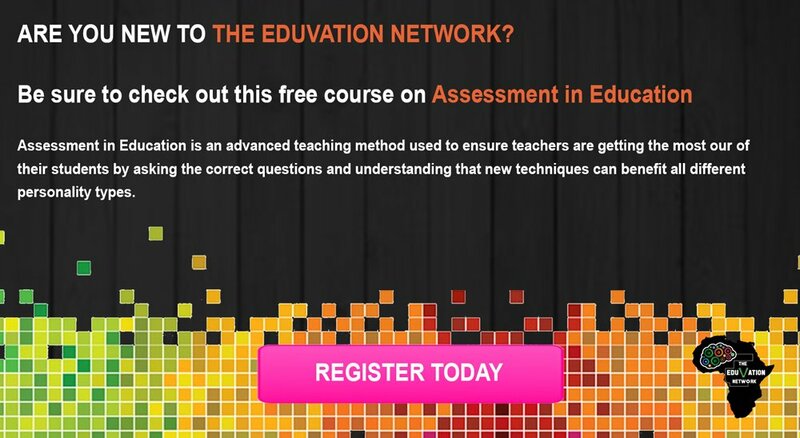 The Eduvation platform is home to a large number of endorsed courses that all allow teachers to gain their points in the comfort of their own home and at their own pace.